than any other American soldier. The Medal of Honor is around his neck. He was born in 1925 into poverty on a farm near Kingston, Texas near Dallas. He was the son of a sharecropper. In 1940 his father, Emmett, left home one day, as he had done several times during the Great Depression, looking for work; but this time he never returned. He just disappeared. His beloved mother, Josie, passed away in May of 1941 when he was just a teen. This loss deeply affected him. It was a sad loss of love and caring he could never replace throughout his whole life. During elementary school he had to abandon his formal education to find work to help what remained of his destitute family. He picked cotton and did odd jobs. He learned to use a rifle to hunt wild game to help feed his many siblings. He had little time for hobbies, but when he did he liked to read and listen to his uncles talk about their experiences during the First World War. He wanted to be a soldier. He was small and short, five foot five inches, and weighed around 112 pounds by the time the Japanese bombed Pearl Harbor in December of 1941. His disposition was polite, even shy, and friendly … but he seemed to prefer being alone, and he could sometimes quickly get a bad temper. He was, however, extremely humble. He wanted to serve his country after the sneak attack which had killed his fellow Americans, so he went down to the recruiting station to join the Marines. But he was rejected for being too young and too small. He tried again to get into military service, this time with the US Navy. He was rejected there too. He then tried the US Army. The Army rejected him at first too. So, he tried to gain a little weight and bulk up. He persuaded his older sister, Corinne, who was very close and caring towards him, to help him change his age on documents to show he was old enough. This time he was accepted -- by the US Army. The reality of war that young Audie witnessed. A wounded American soldier getting First Aid. He passed out during Army basic training in Texas from heat stroke. He just collapsed from the hot weather carrying all the heavy military gear. The officers wanted to reassign him to others duties such as a cook, but he pleaded with them to stay in the infantry. Reluctantly, the Army let him continue infantry training. There is an old saying, sometimes attributed to General Dwight Eisenhower himself: It is not the size of the dog in the fight that matters, it’s the size of the fight in the dog. The unlikely soldier in our story was Audie Murphy. By the time the war was over he would receive every single medal and honor for valor in combat the United States of America had to offer -- a total of 33. Plus some from France, including the Croix de Guerre, and from Belgium. 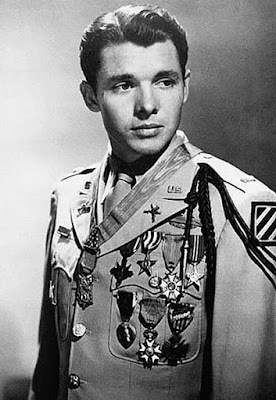 Most extraordinary of all, Audie Murphy was awarded the Medal of Honor (a.k.a. Congressional Medal of Honor) for his incredibly courageous action in 1945. 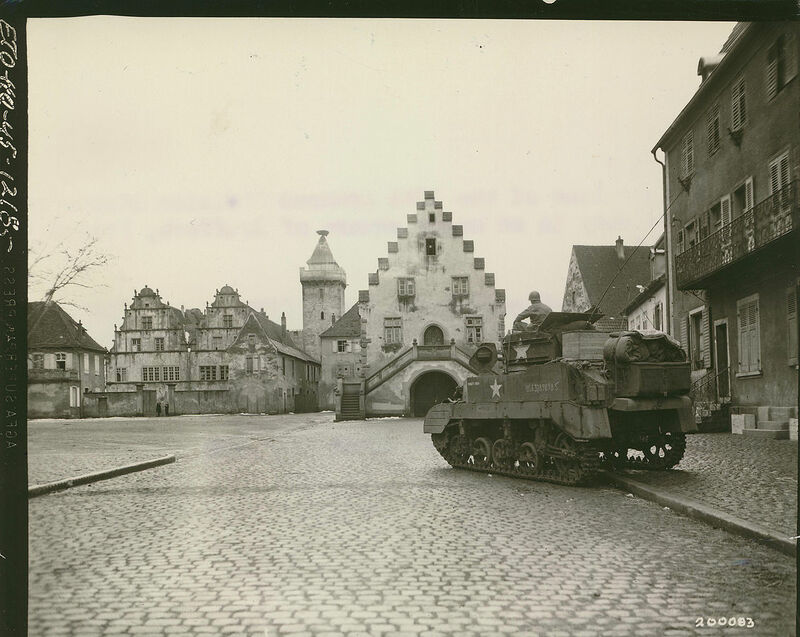 He held the line, alone, against an attacking German company of combined infantry and tanks in the battle of the Colmar Pocket at Holtzwihr in Alsace. Audie Murphy became the most decorated American soldier of World War II and indeed in all of American history. His accomplishments as a soldier were stunning beyond belief -- that such a slightly-built, mild mannered, self-effacing, and humble fellow could turn into a fearless, mighty warrior who destroyed Nazi troops with reckless abandon, totally disregarding his own personal safety, in the heat of bloody battle -- remains a puzzle to this day. It was often said that what made Audie a fierce fighter was the sudden death of his best friend, a fellow soldier who was killed by German gunfire in Italy. And while Audie was indeed always courageous in battle, he said after the war that he was always afraid and lived minute by minute. He did his duty despite his fear. The reason he fought so hard was to protect his friends, his brother soldiers. But anyone who knows the Irish or Irish history would not be surprised. As the saying goes, Audie “got his Irish up” when faced with battle. He started as a buck private and finished as a major. Beloved by his fellow soldiers, he always gave credit to his comrades. Especially, he praised and grieved for his friends who did not come back alive. Reportedly, later in life he also grieved over the German soldiers he had to kill during combat. Although he always wanted to be a soldier, he soon learned the reality of war. There was nothing glamorous or glorious about it. It was hard, terrifying, and savage. Kill or be killed. Audie stated in an interview well after the war that the best day he ever had while in the Army was the day he learned that the war in Europe was over. Audie suffered after the war from what we today call post traumatic stress disorder or PTSD. It was not understood at the time and often dismissed with mysterious phrases like “shell shock” or “combat fatigue.” Audie would frequently have nightmares about battles, and he had severe insomnia. Reportedly, he would sometimes sleep with a loaded gun under his pillow -- never really escaping the world of brutal and deadly combat, in his mind, though the war was actually over. Years ahead of his time, he became an advocate for PTSD sufferers. 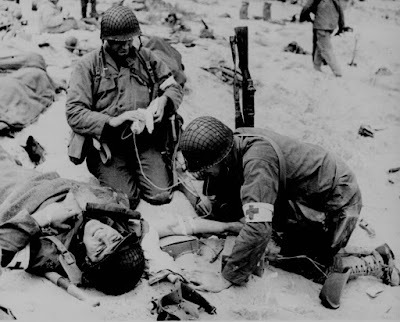 Additionally, he had wounds to his legs which he received in battle, a foot wound from mortar shrapnel, gangrene from a wound to his hip, and malaria. He was classified by the Army with 50 percent disability at the war’s end. He was a hero, but he was a wounded hero. Following are some, but not all of the numerous battles Audie was in and some of the medals he received while still a teenager or in his very early 20s. quickly how dangerous the Germans were. Audie started out in Operation Torch, the US invasion of North Africa. 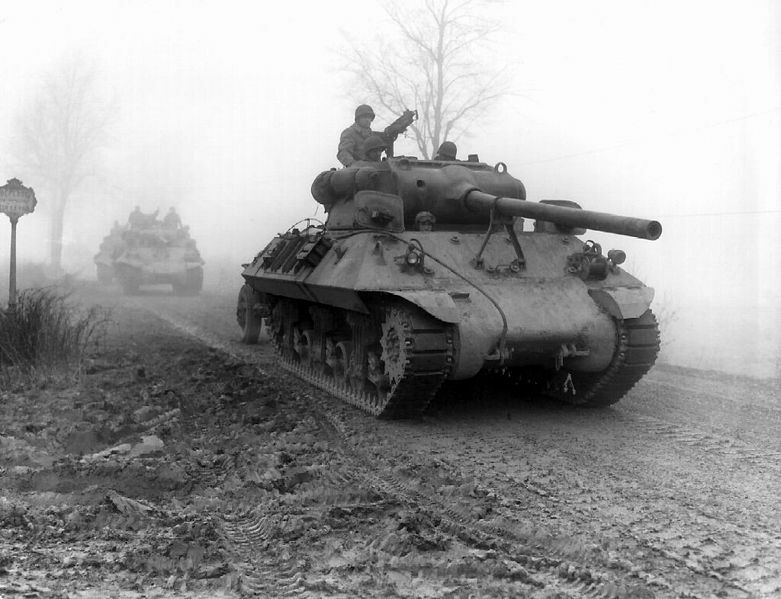 Then Audie served with the 3rd US Army Division in Sicily in 1943. He participated in the Italian Campaign near Anzio and Rome. In Italy he received the Bronze Star for destroying a German tank and was awarded other citations for combat duty. 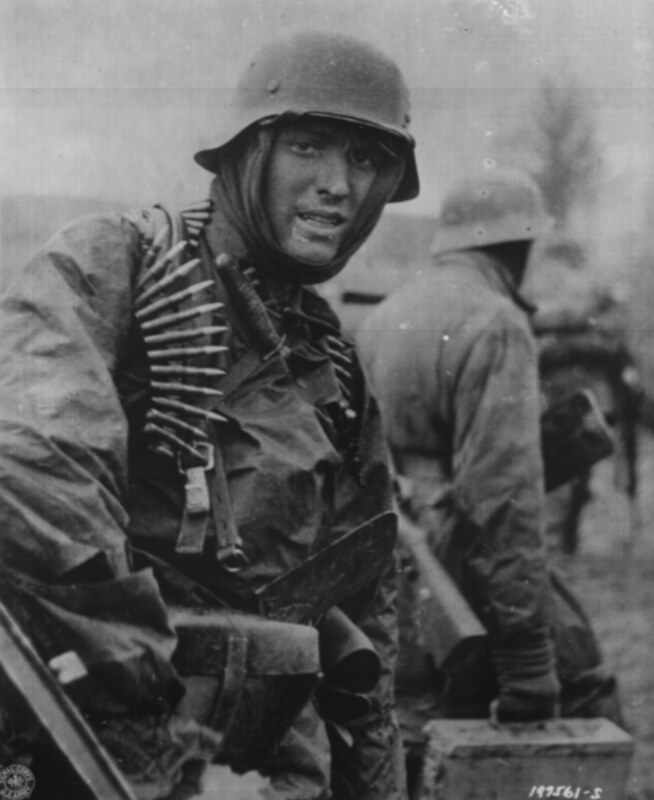 There he learned that the German soldier was a well-trained and dangerous enemy. Audie then went to southern France and drove towards Germany. He was awarded the Distinguished Service Cross, the second highest award besides the Congressional Medal of Honor, after running up a hill towards German machine gun nests which protected heavy German artillery and destroying them all. He certainly saved the lives of many American soldiers. Audie took out Nazi snipers and more machine gun nests single-handedly. He was offered a raise in rank to be an officer, but at first he declined because he felt he lacked a formal education. Furthermore, he did not want to be separated from his fellow soldiers who were his friends. But after repeated acts of heroism and awards, he accepted the rank of Second Lieutenant and was allowed to remain with his unit. In January of 1945 under extremely frigid conditions in Alsace near the German border, Audie Murphy, now in command as First Lieutenant of a badly damaged American unit, single handedly stopped a German attack by infantry and tanks. Sending his men to the rear, Audie directed US Army artillery fire by radio while close to the enemy lines. Then he mounted a damaged and burning US M10 tank destroyer, an armored vehicle filled with fuel which could explode at any moment, and began to fire the mounted .50 caliber machine gun at the enemy. He aimed at the German infantry, knowing that the panzer tanks would not advance without infantry support and that a machine gun alone could not stop tanks. The plan worked. 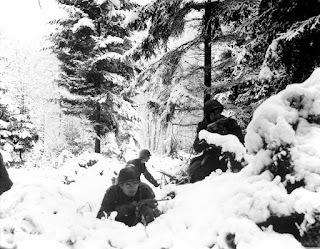 Murphy’s machine gun fire stopped the German infantry and armor advance, giving the Americans time to recover. Murphy was wounded by enemy shrapnel and withdrew only after his men were safe and he ran out of ammunition. For this incredible action, Audie Murphy was awarded the Congressional Medal of Honor, the highest award America has to give for combat. There is a museum and monument today to Audie Murphy at the Colmar Battlefield in Alsace, France. It shows the respect the people of France have for Audie Murphy. Audie firing his .50 cal atop a burning M10 tank destroyer. Original photograph courtesy of Robert Burch. Taken in 2016. Audie starred in a film about his own life during World War II called “To Hell and Back” based on a book by the same name. But he insisted on historical accuracy and always gave the proper credit to his fellow soldiers. starring in "The Red Badge of Courage." Audie Murphy tragically died in his 40s in an airplane crash. He is buried in Arlington National Cemetery. Audie Murphy, a descendant of the Irish, is perhaps the greatest American soldier of all time. He is America’s most honored soldier.